Quinta da Pacheca, one of the most known properties of the Douro, stands out for having been the first to bottle wine under its own brand. The first reference to the Quinta is in a document dated of the 17thApril 1738, where it is called "the Pacheca" because its owner was then D. Mariana Pacheco Pereira. But it was only in 1903 that D. José Freire de Serpa Pimentel decided to develop his growing interest in oenology, acquiring the property in order to devote himself to the wine production. 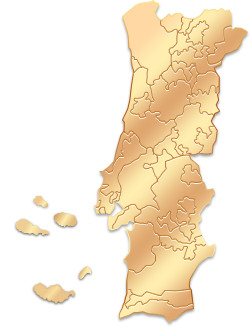 In June 2012, the majority of the capital was acquired by Maria do Céus Gonçalves and Paulo Pereira, Portuguese entrepreneurs based in France. The Quinta became part of a modern, consistent and dynamic business group, opening up to a new development cycle. Located in the heart of the Quinta, the Wine Shop is the meeting point for all visitors. Besides a warm welcome and a friendly smile, you will find all the wines produced at Quinta da Pacheca as well as regional / typical Douro products. From Régua, drive down along the river and cross the bridge over the Douro to the south bank.You will find a roundabout as soon as you leave the bridge. Take the right towards Lamego, road N-2. After the roundabout, drive over a small bridge and immediately turn right, following the road for a few hundred meters along the River. Keep straight ahead until you find a road on the right indicating the Quinta. Continue until you find the gate of the property on your left. Drive along the grove of trees and you will reach your destination. I did the wine tour, sampled the port and cheese, had a delicious workshop and comfortable staying. Don't forget the fantastic breakfast in the morning. A great experience of our Douro trip. If you ever find yourself in Portugal, be sure to do two things: Book at winetourism and go to Quinta da Pacheca. "It was a great day at Quinta da Pacheca. The whole experience of a day at the wine harvest was very interesting and culturally enriching. The staff at the estate was very thoughtful and nice, the meals were served outdoor, where we could enjoy the wonderful view while tasting the fantastic Northern cuisine. The wine tasting was also outdoors and each wine was appreciated with an explanation in Portuguese and in English. I shall highlight the professionalism of the Wine Tourism in Portugal team in the organization of the whole logistics. It is without a doubt an experience that I recommend and I will certainly go back to Douro many times."